When Stacy MacQuarrie signed up to fight in Boston's Belles of the Brawl 2018 event, no one in her life was surprised. Stacy’s a self-described “intense, Type-A person” with a long love for boxing, and she has always wanted to get in the ring. She’s also no stranger to tough fights; Stacy and her family spent the last year supporting her husband’s battle with cancer. January 2017 found Stacy and Jamie--parents to four young children--both working full-time jobs and deeply involved with their kids and community. Jamie had completed three triathlons the previous summer. At a routine doctor’s appointment late that month, the couple received Jamie’s cancer diagnosis. Despite the initial fear, the MacQuarries powered through. The whole family rallied together. Be Brave became something of a household mantra. Stacy bought a piece of art with the phrase and put it on display in their home, and it helped Jamie focused his strength on getting better and managing the treatments. Stacy was especially moved by her children at the time. “Our kids are used to seeing him as the strong, athletic coach dad. 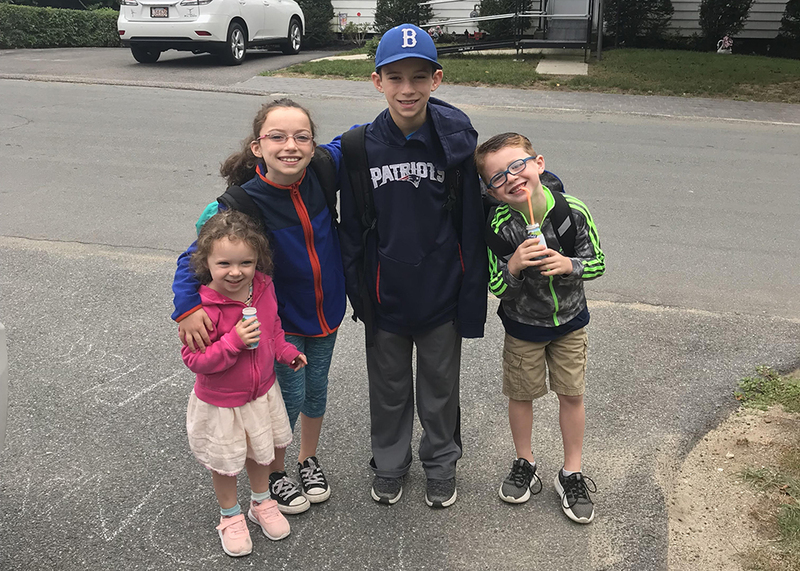 It was really hard for him not to be involved in that way, but he and I both kept it together for our kids.” James, Stella, Joseph, and Santina understood their dad was sick and jumped in to help their mom. This January, Jamie was declared cancer-free. He's still undergoing oxygen therapy treatments to keep healing, but the family is cautiously optimistic. When Stacy talks about the past twelve months, you can tell that her family’s year of fighting took a lot out of them. Still, the overwhelming sense is that the MacQuarries rose to the occasion and fought like hell. Stacy’s quick to throw gratitude to the people in their corner, too. Both her and Jamie’s employers were overwhelmingly supportive and she says they wouldn’t have survived the year without the Braintree community where they live. The MacQuarries also express their thanks to Marisa’s Mission, a non-profit organization that assists patients and families affected by cancer. 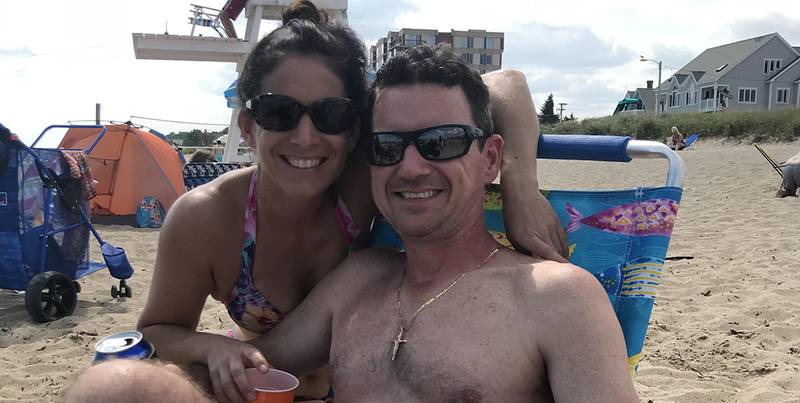 After giving the family a grant last year, they reached out to Stacy to see if she’d be interested in representing them as a fighter in the Haymakers for Hope Fight Night.